Mint smoothie is yet another instant recipe for smoothie lovers. Each serving of this mint smoothie offers a refreshing delite. This smoothie is a tummy filling one which could be taken with breakfast. Mint smoothie is so simple to make and healthy too. This mint smoothie is thick, creamy and made only with healthy ingredients. Sweet fresh figs are delightful in addition to a smooth smoothie. Figs honey bananas blends into a thick creamy rich smoothie that satisfies are taste buds. 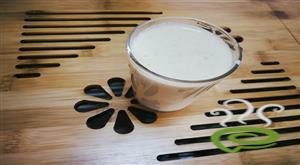 Fig smoothie also supports to be an whole meal dish,which is a filling drink. 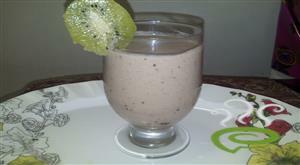 Fig smoothie can also be done with combination of ripe mangoes. musk melon smoothie is a perfect delightful smoothie for this summer.Those who want to reduce weight can go with this smoothie for it holds very less calories in it. This is a wonderful drink in-between meal times.You can also add crushed almonds and crushed pistachios before serving for a splendid delightful drink. This is a great smoothie consisting of fruit, fruit juice and ice. I like to use whatever fresh fruits I crave that day. Any kind of apple, pomegranate, orange , banana and, etc make a great smoothie. Experiment with your favorites! 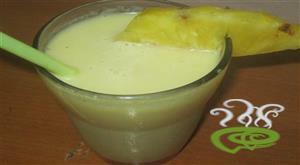 This delicious pear smoothie is a healthy, tasty drink which can be served along with breakfast. This is high in protein, calcium with the best combo of pears, apple, carrots and coconut milk. Papaya Delight is a simple and an excellent dish prepared with papaya and coconut milk. This is very healthy and also very good for hair growth and skin glowing. Dragon fruit is always considered for weight lose and cholestrol reduction, this can be consumed for those who want to reduce their weight in a healthy way. During summer we all can get musk melon easy. so we can have this drink daily.